FOR a nation to attain sustainable economic and social development, it is important to ensure that its foundation is firmly rooted on education. But in order for this goal of a solid education foundation to be realised, stakeholders such as the Church who have been key partners in education circles must remain steady fast so as to supplement Government’s effort. 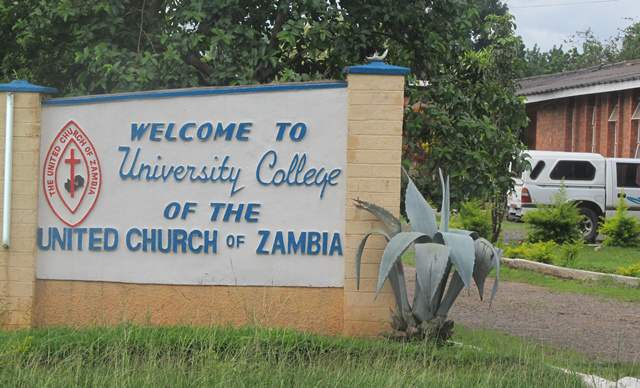 In rising to this challenge, the United Church of Zambia (UCZ) through its United Church of Zambia University College (UCZUC) has started positioning itself in a quest to meet the nation’s demands for a solid education foundation. Over the years, the UCZ has been highly involved in the develpment process of the country by way of providing support in areas of education and heathcare services. But, according to Reverend Jonanthan Kangwa who is registrar for the UCZUC based at Mindolo Ecumenical Foundation (MEF) in Kitwe, the Church’s contribution in providing support to the education sector had been limited to primary and secondary schools as it did not extend to institutions of higer learning and to be precise, universities. Rev Kangwa said the UCZUC, whose mission statement is ‘To seek and impart knowledge that transforms the society through selfless service and values that promote the wellbeing of all God’s creation’, has set on a new path of expanding its scope of service in the education sector. “At our UCZUC, we used to offer theology only but we have now expanded our scope to include School of Education, School of Humanities and Social Sciences in addition to the School of Theology,” Rev Kangwa said. He said the university was compelled to expand for the realisation that apart from educating the clergy, the institution could still do more to the development process of the country by training leaders needed for effective governing of the country. 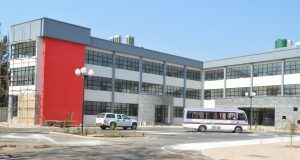 And UCZUC principal Reverend Kapembwa Kondolo said taking into account the university vision of ‘To be a premier Christian University of excelence in pursuit of knoweldge that is empowering, upholds the dignity of all creation and brings the fullfiness of life’, the institution was now set to take its education programme to high heights. Rev Kondolo said with ‘Knowledge and Education for Service and Excellence’ being its motto, UCZUC had set two goals to achieve. He named the first goal as ‘Provision of quality education and research’ and the second being ‘Commitment to higher standards in academic programmes on offer to meet international standards’. In giving background to the university, Rev Kondolo said UCZUC traces its history of inception to Kashinda Mission, in Mporokoso District of Northern Zambia, where in 1949, the London Missionary Society provided training in the Ministry of the Word and Sacrament. “In 1961, the mission of training the clergy moved to the present site within Mindolo Ecumenical Foundation grounds, which at that time was called the Mindolo Mission. “UCZUC is now registered under the 1999 University Act and has embarked on the mission of expanding its ministry to offering other disciplines that will enhance its partnership in the holistic development of our Nation,” Rev Kondolo said. To this end, he said, the University was adding to its discipline of Theology, the schools of Education, Humanities and Social Sciences. Rev Kondolo said in view of the envisioned expansion of the student population, the institution had embarked on a fundraising crusade towards being self sustaining in terms of operations. 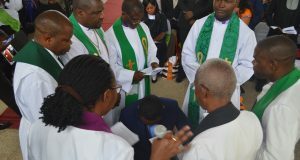 Currently, he said the United Church of Zambia University was largely dependent on foreign donor support, and the once a year Synod funding through the United Church of Zambia University College Sunday which falls in July of each year. “In seeking to be transformed, we have evolved into a University which entails taking on more students. This is a costly venture, and it can only succeed if we begin to grow infrastructure that could cater for the envisioned student population. “The Lecture theatre will serve as a multipurpose hall, and will serve both Administrative and Academic needs,” he said. 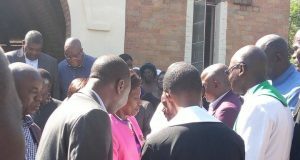 Rev Kondolo said it was his appeal to members of the United Church of Zambia, members of the public and Christians to partner with the United Church of Zambia University (College) in this great project by contributing a minimum K200. “All monies will be acknowledged and receipted. This is our commitment to being prudent stewards, and to ensure that the monies are spent on the intended project. The initial works will be to do the foundation and put up a slab by September 2014,” Rev Kondolo said.